Home › Electronics › Toner Kingdom Compatible With Hp Cf226X 26X Black Toner Cartridge For Use In ..
Toner Kingdom Compatible With Hp Cf226X 26X Black Toner Cartridge For Use In ..
Retailed Packaging (heat-sealing packing, EPE packing, individual retail toner box) to prevent toner from any external damage during shipping (Package includes User Guide). 100% Quality Satisfaction Guarantee.One-Year Warranty against defects. Free shipping on Same day or the next business day. Color: 1 Pack Product Detail Page Yield Per Package (Up to): Black - Up to 9,000 Pages at 5% coverage (Letter/A4) Package Contents: Package Includes: 1 Pack HP 26X / CF226X Black High Yield Toner Cartridges Compatible Printer Models: HP LaserJet Pro M402d HP LaserJet Pro M402n HP LaserJet Pro M402dn HP LaserJet Pro M402dw HP LaserJet Pro MFP M426dw HP LaserJet Pro MFP M426fdn HP LaserJet Pro MFP M426fdw If you have any questions or concerns, Please feel free to contact us through Amazon. We would appreciate the opportunity to make it right. 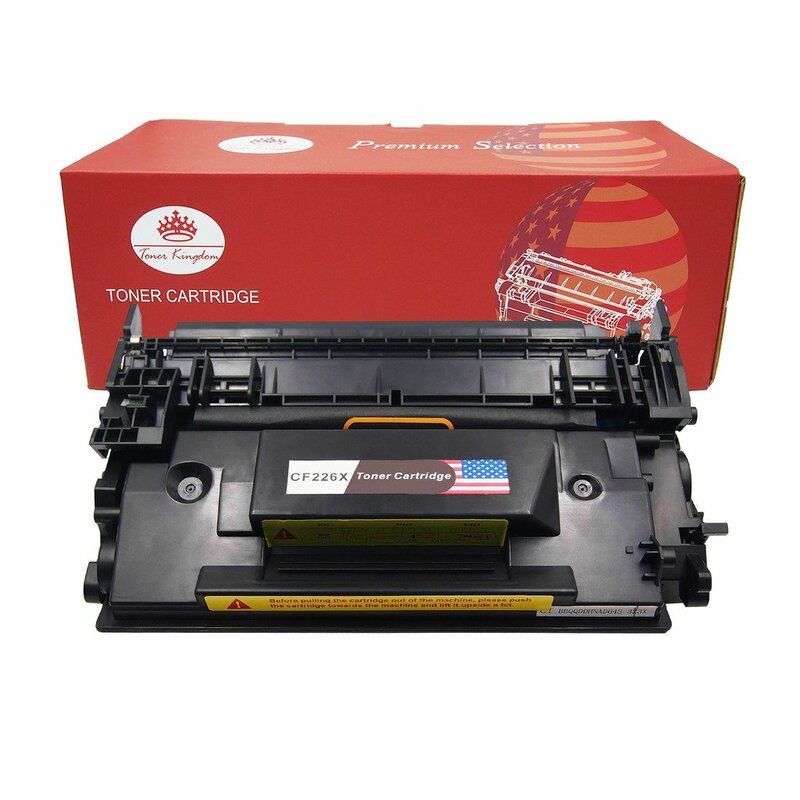 Advantages: Fully inspected and guarantee to work as Original OEM Cartridges Fully tested in high-tech facility and under the strict quality control Excellent & vivid color Reliability and exceptional page yields Excellent service teams to make you 100% satisfied Economical cartridge with excellent print value Sealed in box 100% Compatible With Original printer 100% satisfaction granteed 1 Year Global Manufacturer Warranty. Defective rate less than 0.5% NOTES:THIS IS A COMPATIBLE REPLACEMENT PRODUCT ONLY. THIS IS NON-OEM.